My Redbox find this week Awaken the Shadowman directed by J.S. Wilson and starring Jean Smart was snatched up quickly by my horror loving hand. I'm a little on the fence with my feelings toward the story as I was expecting more and came away with less, however I enjoyed certain elements of the film. The story is about a missing Californian mother and the reuniting of estranged brothers Jay (Skylar Caleb) and Adam Morris (James Zimbardi). The brothers come together in hopes of finding their mother Evette (Jean Smart). What Adam finds is more questions than answers and is led on a creepy trail of odd behavior and brainwashed oddities. Adam brings his wife Beth (Emily Somers) and young daughter Emma to his brother Jay and sister-in-law Christy's (Andrea Hunt) home and are greeted by several members of their mother's bereavement group. One of the members a woman named Glenda (Casey Kramer) claims to be Evette's best friend. She offers her help to the boys. Another member leaves his mark upon introduction to Adam, young Lawrence, He appears innocent but his demeanor is off to Adam. Others come forward for introductions and their interest seems more attuned to Adam's young daughter Emma. With each moment of this film the direction is one of crumbs for Adam and the viewer. Beth's first night in Jay's house shows a strange sleep-walking segment that leads to a glimpse of the Shadow Man. However, my first indication that something was off rested solely with Emma and her fussiness. The viewer will notice her crying around certain people and definitely while in the foreign presence of the Shadowman. Children are sensitive to things and she is clearly disturbed by her uncle's home and friends. I didn't need the sleepwalking mom clue, but it adds to the mystery building surrounding Evette's disappearance and the events of a fire that affected everyone in the Gateway Bereavement Group. The longer I watched this film more subtle and not so subtle clues are dropped as to the true nature of what's going on. Instead of being a show-less-tells of story, the viewer gets more telling and filling in the blanks with a fail of showing. I like a good mystery, but this one was too easy to figure out and before the middle of the film; I had it nailed down to what was going on and at the big gathering at the end...I was correct and little disappointed. When you hear characters drop key word like "sacrifice" and you have a group of seemingly brainwashed followers it's not hard to put two and two together and get a cult. Their leader has a strong resemblance to another young red haired cult character "Malachi" from "Children of the Corn" which is one of my favorite Stephen King films. In this film and much like "Children of the Corn" this young leader Lawrence (Raam Weinfield) oozes with creepy charm and quickly gets under the viewer's skin. My problem with Lawrence there wasn't enough of him in the scenes, but when he was in them...made my skin crawl. He was one creepy dude. Another character emerged to warn Adam of the nature of Lawrence and in the woods later she shares her thoughts on the Gateway group and Lawrence that sent Adam racing back to her brother's looking for his wife and most importantly his daughter. What he finds set the ending for the mystery and showed this viewer that Jean Smart plays crazy very well. I would recommend this film, but I'll give you fair warning the acting is less than stellar in certain actors, but in the moments that Jean Smart is visible she gives a convincing show with a loving dose of crazy. As for the other actors, JamesZimbardi I recognized from a couple of soap operas and his acting was above par, but the others came across as wooden, hollow and forgettable. Fans of cult type movies may enjoy Awaken the Shadowman...I did. The film alludes to what's going to happen and when the "sacrifice" happens there is no blood. It's rare to watch a horror themed film without bloody scenes. There's a scene where the charred remains of someone is sitting on the floor like a memorial, but one does not see the melting of the body. 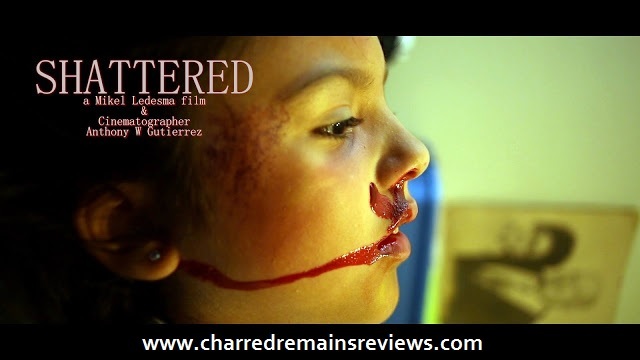 Fans who like gory bloody scenes will most likely not enjoy this film. Fans of mediocre mysteries...you might enjoy following the clues. 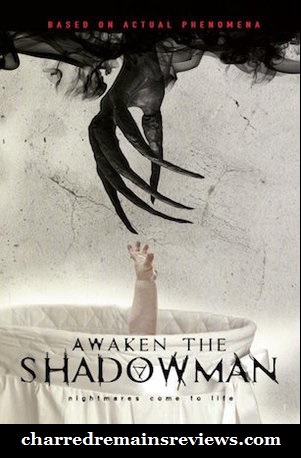 I would be interested to hear your thoughts on the film should you take up the case of Awakening the Shadowman. It's available at Red Box, Amazon and Google Play . Check out more info on the Facebook page for the film. 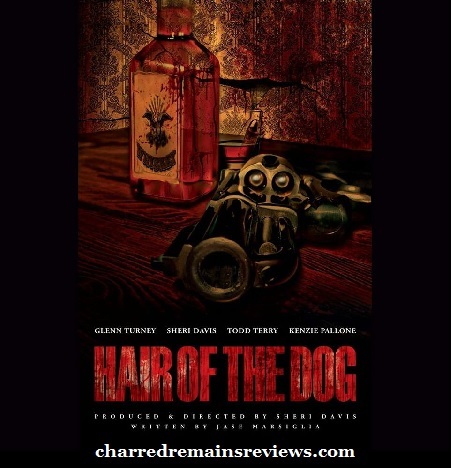 Check out more trailers from Gravitas Ventures on youtube. 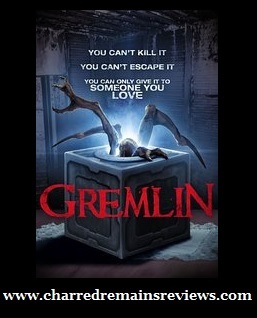 "Gremlin...passes the cursed box to a loved one, when you care to send the very best of madness, blood and death. It's a freaking horror Hallmark! Adam and Julie Thatcher along with teenage daughter Anna and young son Charlie moves in with Julie's grandmother after the death of their son Henry. One afternoon just before dinner, Julie's uncle arrives with a package for his mother. It's a box that he tells his mother to pass it on to someone she loves. She asked if it was a game and Jim who is desperate to get rid of the box confirmed it was a game and one that she must get rid of before the timer goes off. 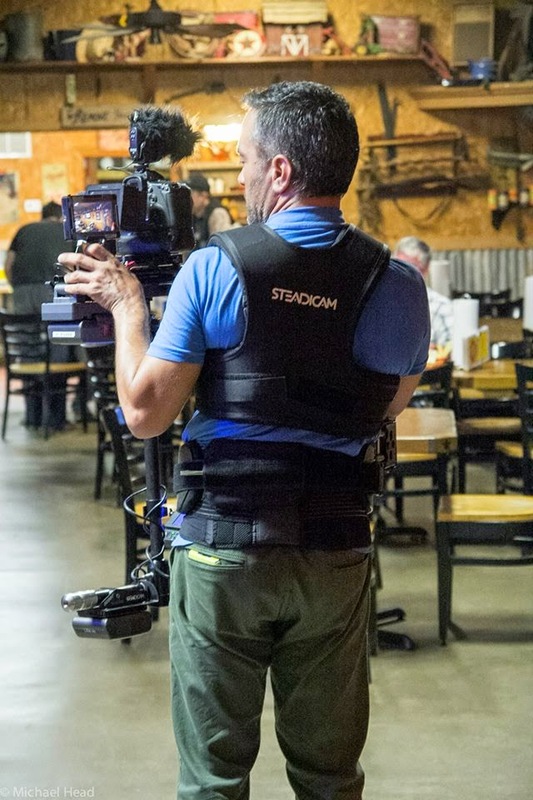 Inside her house is a tightly wound family grieving the loss of their son and with this "gift" their lives become such a mess that this viewer felt sorry for them early on in the film. Sitting at the head of the table is Adam an architect who is cheating on his wife, Julie a mother trying to keep it all together and Charlie who has issues since the death of his brother. In walks Grandmother with a box. She relays the information that her son gave her and promptly gives the box to Adam. So begins the nightmare for the Thatchers. Later that evening while all were in bed, (minus teenager Anna who was out with boyfriend) the box opens and out comes the creature that lives inside it. Charlie hears a noise and goes in search of the sound and opens the door to his grandmother's room to see the creature stabbing her. He screams. The police arrive and Adam and Julie are asked many questions. As the detective is about to leave Charlie speaks up saying the creature in the box came out and killed his grandmother. The ramblings of a disturbed child go unheeded. Throughout the movie one by one loved ones are picked off and it becomes a deadly game to stay ahead of the creature who is hell bent on killing all the loved ones of the Thatcher family. "Gremlin is like a horror Hallmark gift...which simply says, I'm sorry, I love you to death." I had misgivings right at the start when you see the creature in opening scene with Uncle Henry. I really do not like to see the "monster" at the beginning of a film. I like to be teased and shown very little and then...BAM bring out the full monster! Gremlin didn't do that and for me it was a mark against the film. 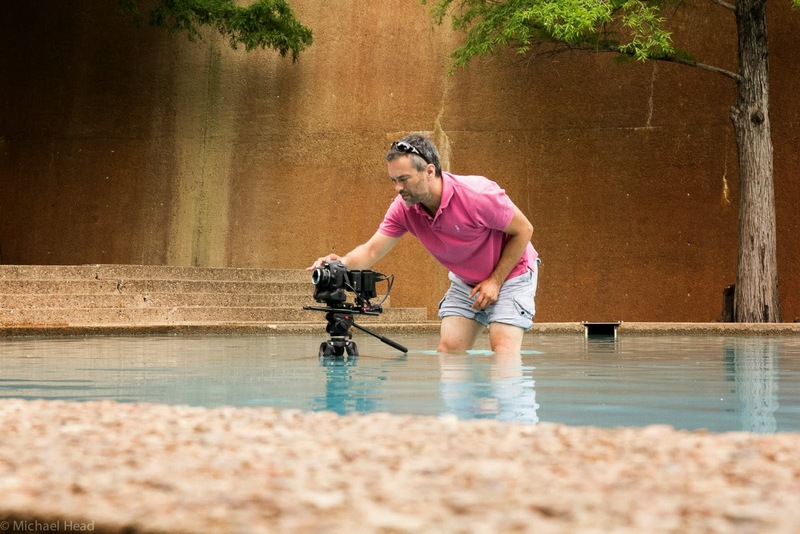 Starting the beginning with a negative quickly faded away as I sat back and watched the story. A family dealing with grief, adultery and teenager growing pains is more than enough to deal without the added creature that was bestowed upon them innocently by a kind grandmother. As the story unfolded, I watched in horror as victims began to pile up and the true horror was the way Adam Thatcher dealt with things. Scary. Someone is killed in his home on the heels of Julie's grandmother and what does he do? Call the cops? NO, he puts the body in the basement, thus building suspicion in my mind of what truly happened to his deceased son. Hmmm, I wasn't alone in wondering, the police started putting pieces together and later when they arrived chaos was running amok and they were in for the shock of their lives...Charlie's monster was running loose in the front yard. I loved that scene. An hour into the story an explanation is given and it's a cool one. At first, I thought it was going to be left to the imagination of the viewer, but it was given by a gypsy friend of one of the detectives. A gypsy...gotta love it. My gripes for this film are not much other than the opening scene showing the creature too soon. The other is when Adam tried to destroy the box. He threw it in a lake and came home to the box. Crazy right? Funny. He tried a mallet, a saw and then he lights a match and throws it in garbage can. He goes back into the house moments later and there's the box...without one scar after all the hard work of trying to destroy it. Look, if a mallet or saw can't destroy a metal cursed box, what makes the writer think fire will? Gremlin is a Horror Hallmark and one that was fun to watch. Far from the Gremlins from the 80's, there's nothing cute about this creature...he's after one thing blood of your loved ones. I recommend it for a fun watch. It comes out on VOD July 11, 2017. Give it a chance. Fans of puppeteers and creature features, may enjoy this film. I did. "An impressive finish to a slow burn. 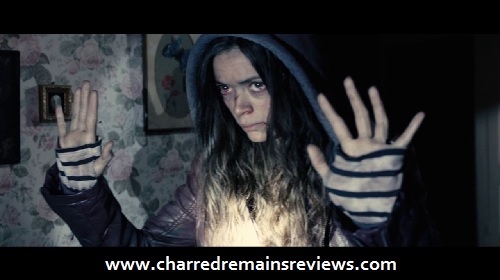 Typical clichés got swept away with gory good FX and a strong finish by actresses Carlyn Burchell and Sharni Vinson. I enjoyed the middle to end." Four would-be kidnappers plan the taking of a diamond dealer's daughter to ransom. 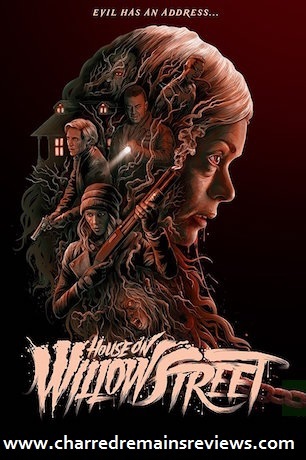 Their careful planning lead to the house on Willow Street and upon entering the dark home, the four adults see various strange symbols that are the first clue to the viewer that all is not well within the house on Willow Street. Katherine is secreted away and taken to an unknown location and chained to a chair. Hazel (Sharni Vinson/You're Next) commented that it looked like they had rescued Katherine from the house, which is the second clue. Katherine begs the kidnappers to "save yourselves" and "release me" they typical rote of any victim; however the kidnappers should have heeded the warning and released her. The kidnappers videoed their victim and wished to send to her father, unfortunately problems arise. The parents of Katherine could not be reached. They ring all their numbers and it became evident that something was amiss and two of the kidnappers returned to the house. After one scary encounter the two men return with a tape that reveals the horrors surrounding the reputation of the Willow Street house and gives further insight to the woman they have chained. She harbored a secret that will affect each of them. Fans of demons and exorcisms may like this film. I was unsure of what I was getting myself into and the first part of the film was slow and I was left caring little for the characters and wishing them all a fast death for the boredom that I felt as I struggled to stay awake. Once the tape was introduced to the kidnappers, ghosts appeared and a demon made his presence felt and seen. I sat up straighter in my chair and took notice and for the second half of the film. I did come to care, but not for the kidnappers...for the demon possessed Katherine! She was the true star of this story. Her transformation from scared victim to a powerful entity was breathtaking. The gory effects were very entertaining and the best part of the demon was the barbed snake-like tongue that seemed to have no end, when it exited Katherine's mouth. WICKED! The strongest of characters were Katherine (Carlyn Burchell/12 Monkeys, Lizzie Borden Chronicles) and Hazel (Sharni Vinson). Sacrifices were made and Hazel was left to face the demon known as the "Devourer of Tormented Souls". The ending was explosive! I would recommend this film, however it is a one-time watch for me. I wouldn't look for it on DVD or Blu-ray, perhaps Red Box or as an Amazon rental.